Marie Leonor Domingues mainly practices criminal law and the prevention of legal risk. She intervenes at all stages of proceedings (custody, taking of evidence, courts - criminal, appeal etc) and in areas as varied as criminal responsibility of companies and their directors, press law, violation of privacy and property. In addition to this core activity, she intervenes in employment law litigation cases and in family law cases (divorce, separation, child custody, alimony). 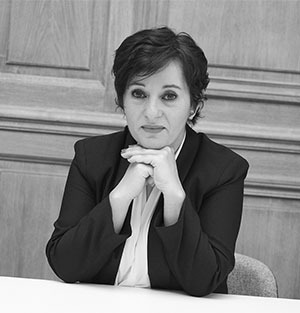 Admitted to the Paris Bar in 1998, she is the holder of a Master’s degree in Private Law and a post-graduate degree in the History of European Law from Paris XII University, she is a member of the Association of Criminal Lawyers (l’Association des Avocats Pénalistes).